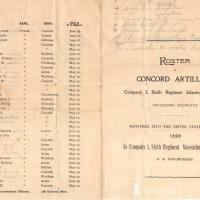 This group became Company I, Sixth Regiment Massachusetts Infantry at the time of the Spanish-American War. 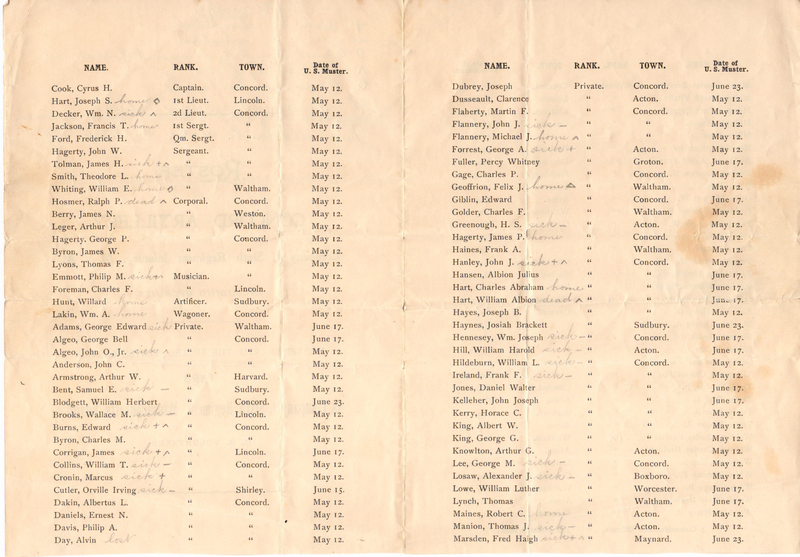 The volunteers came from Acton, Concord, Townsend, Sudbury, Waltham, Malden, and two from Maynard: Fred Haigh Marsden and George Oram Rodan. 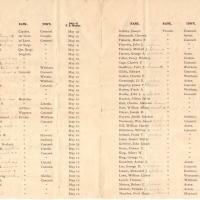 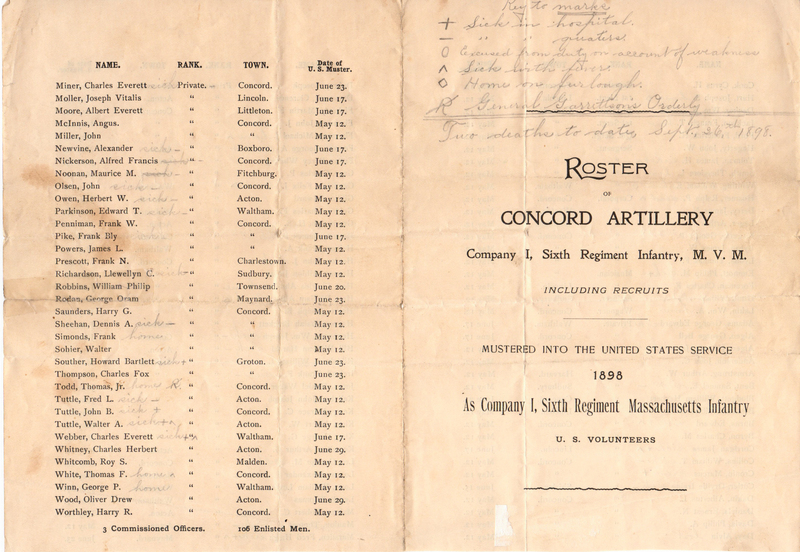 “Roster of Concord Artillery - 1898,” Maynard Historical Society Archives, accessed April 24, 2019, http://collection.maynardhistory.org/items/show/6369.